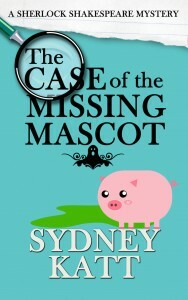 After the disappearance of the new mascot of Devils Reach High, an adorable trained teacup pig, Sherlock Shakespeare finally gets her chance to put the skills learned from a lifetime of reading mysteries to the test. Piece of cake, right? Other than gang members, animal rights activists, hallucinations and the parade of lunatics in her life, she’s totally got this. Champers is as good as found. In Sherlock’s world, three things are absolute: She’s got the perfect Homecoming date, the stoner in her English class is a total perv, and there’s no such thing as ghosts. Before her sleuthing is done, she’ll learn that nothing is absolute.